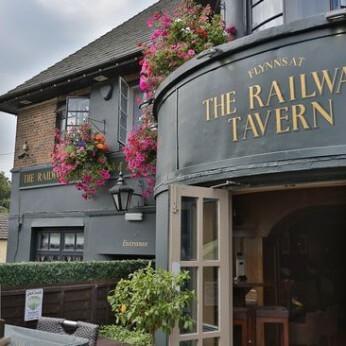 Flynns At the Railway Tavern in East Grinstead has a beer garden. The pub has a car park, it is a family friendly pub. Flynns At the Railway Tavern serves food. The pub serves real ale, it has a real fire. Flynns At the Railway Tavern has free WiFi. The pub has a dart board, it has a pool table. Flynns At the Railway Tavern shows football on TV. The pub has Sky Sports, it has terrestrial TV. Flynns At the Railway Tavern is a member of Cask Marque.